A really solid feeling bag with lots of pockets both inside and outside the bag and enough capacity for the minimal traveler. Great feeling materials. 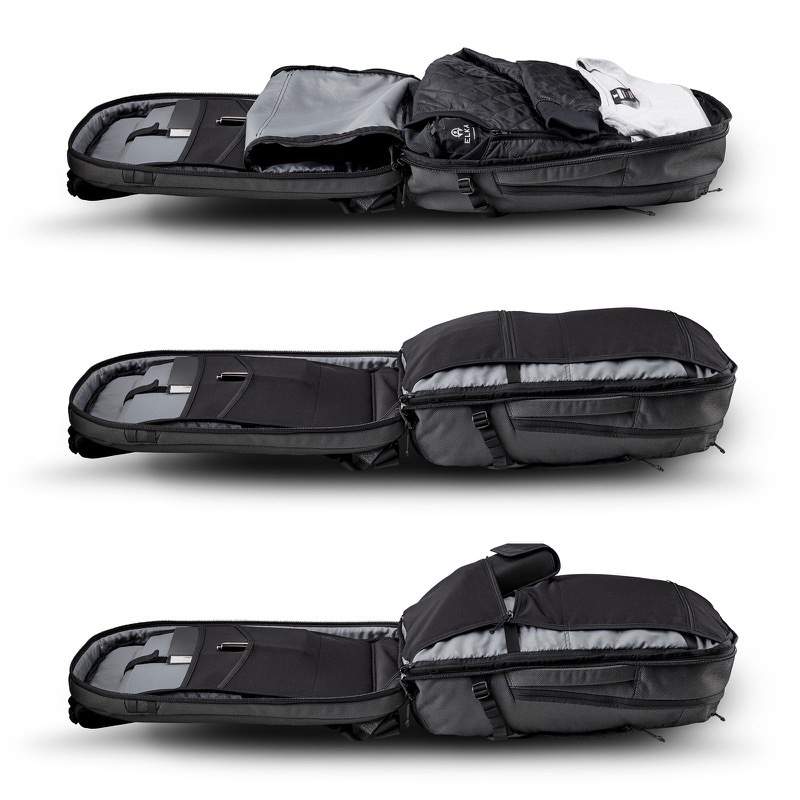 Thick, durable, water resistant outer shell, solid zips and pulls, great straps and back padding. It all adds up to a nice, dense, quality feeling in packing and traveling with the bag. A sleek-tech kind of look to the bag. The kind of thing Tony Stark or Elon Musk acolytes might feel very comfortable in (this is a compliment to the style, not a dig). Capacity is “medium” 1-bag travel to me; in the same category as the Minaal Carry On. So, it’s neither a large travel bag or a small one. Makes it great for minimal travel, not so great as a daily carry bag once you get to your destination. 2 Medium pockets on the outside of the bag, laptop pocket, two zipped medium organizing pockets inside the bag, one large main compartment for clothing. Ultimately a very capable bag that can be a travel companion for years to come. I just wish it was either bigger or smaller. A medium size travel bag made with solid materials. Excellent internal organization for tech and daily goodies. The materials inside make this bag feel really nice to use. 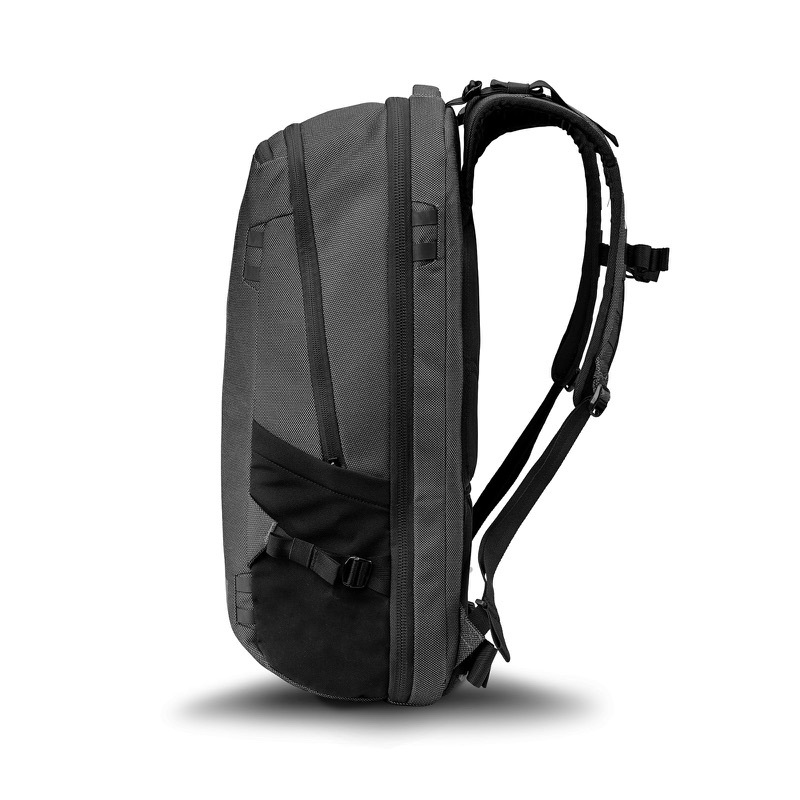 The ATD1 is an expandable backpack you can use for both travel and daily carry. Looks pretty damn good too. One of the best in this category for sure. The Federate Adapt from Kathmandu converts between three separate modes: a 28L daily carry bag, a 38L carry-on travel bag, and a 50L check-in bag. The Topo Travel bag has a playful style, which I like a lot, but it is very serious about being a great travel bag. This is a classic. The X25 from RiutBag is an utterly functional travel and daily conversion backpack that also has an important security feature. 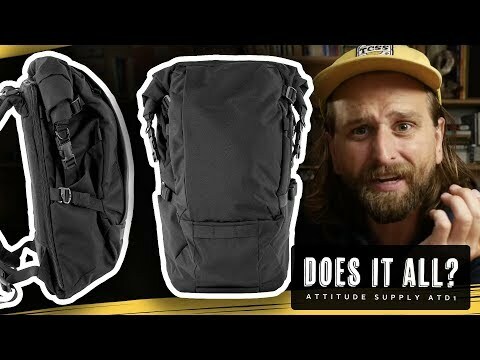 The Knack Pack from Knack is a surprisingly great backpack for both daily carry and travel... it expands and collapses and has a solid look for professionals out there. Signup and get entered to win a free bag every month. You’ll also get notified when we add new bags to the site. Add your email and be entered to win a free bag every month! Affiliate Disclaimer: BagWorks.co is a completely independent website and has no direct association with any of the manufacturers or companies we cover. We don’t accept payment for coverage, and our opinion and analysis are the product of our years of experience in the bag industry. Most of our revenue is made through referral programs, which means that if you click on one of our product links, BagWorks might receive a small commission at no cost to you. This helps support us, and allows us to keep providing videos, reviews and guides. 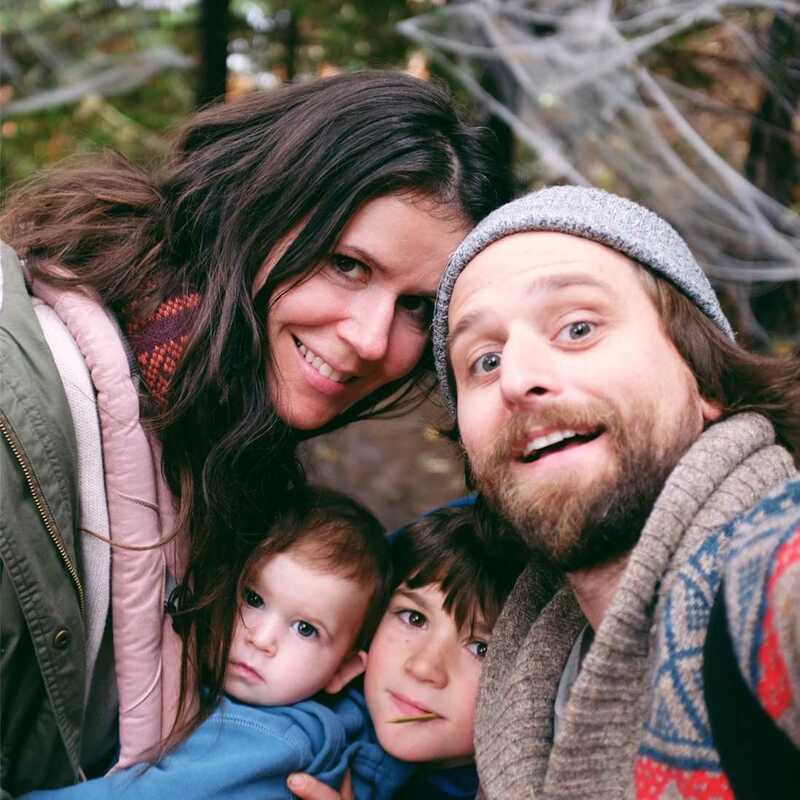 Most of the time we work directly with small manufacturerers who rely on influencers like Chase here at BagWorks, and we love working these folks. We have relationships with so many of these indie manufacturers now, and they make such great bags, that we’re not incentivised one way or the other to recommend anything in particular to you… we stand to earn the most over time by being valuable to you, not any given manufacturers. If you’re dissatisfied with what we recommended and you return the product, we don’t see any money from it. Our continued financial success depends on making the best possible recommendations, and your satisfaction with the products we recommend. Also, we use Amazon links occasionally so we have to say this to you: We are a participant in the Amazon Services LLC Associates Program, an affiliate advertising program designed to provide a means for us to earn fees by linking to Amazon.com and affiliated sites. Thanks for your support!